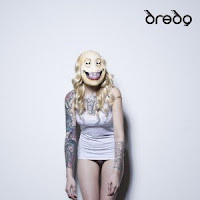 Dredg’s new album Chuckles and Mr. Squeezy doesn’t grab you by the ankles and drag you down the dark bottomless pits of rock euphoria. Instead, it takes you down a path where you stop and smell the roses. The best part of this album is the drastic change of tempos that allow you to taste the blood, sweat, and tears that make up this highly anticipated album. Some of the best tracks are “Another Tribe”, “The Ornament”, and “Upon Returning”. These three songs alone will demonstrate the versatility these men are capable of. While deviating from the usual guitar (which quite frankly I don’t think Dredg has ever resorted to this practice) you’ll hear different spins on beats and instruments. While I wouldn’t consider running out first thing in the morning to get your hands all over Chuckles and Mr. Squeezy I would suggest putting it on your list of things to do. album blows, what are u talking about?